Designed to bring the Naim sound to every modern home, mu-so combines our expertise in streaming, amplification and loudspeaker design to unleash your digital music and create intense, emotive and enthralling sonic experiences. Mu-so can stream high resolution ‘better than CD’ quality music from an array of devices including smartphones and tablets as well as laptops and other storage devices. Its advanced connectivity includes AirPlay, UPnP™ (Universal Plug ‘n’ Play), Bluetooth (aptX), internet radio and native support for popular streaming services. It will also boost the sound of your TV, set top box or games console through a digital input or take audio from and charge an MP3 player or iPod/iPhone via USB or a 3.5mm analogue input. A mu-so control app for iPad, iPhone and iPod as well as Android devices allows you to create playlists and play your favourite albums on the go or from the sofa. Offering simple controls and classic Naim design, the app also allows access to millions of high quality internet radio stations. The new control app will be available to download for iOS and Android devices in September 2014 and will be compatible with existing Naim streaming products as well as mu-so. More details will follow for existing Naim customers closer to launch in September. A bespoke EQ system can alter the sound performance based upon your living space. 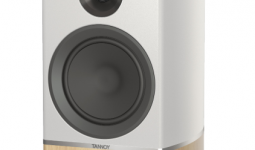 Whether mu-so is positioned close to a wall or away from a wall, bespoke settings allow rich bass and treble reproduction even at low volumes. each of the Naim custom-designed speakers independently. 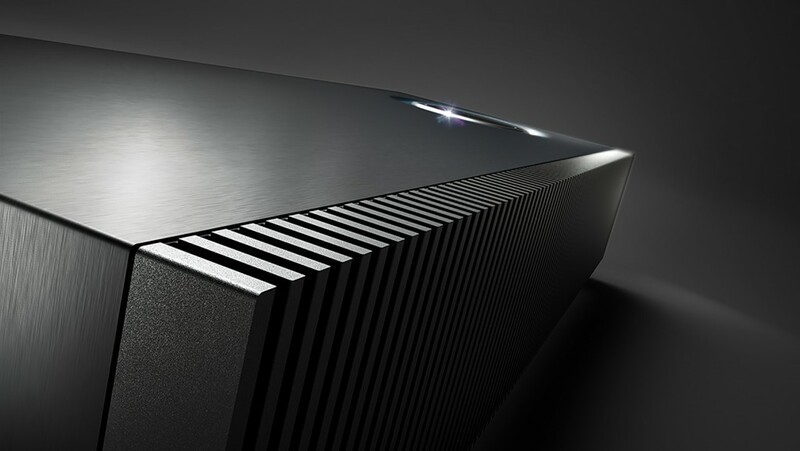 It can be used as a central home hi-fi system or, when linked with other Naim streaming players such as the UnitiQute 2 or NDX as a client player, it can create a true high-fidelity multi-room system. Offering playback of 24bit/192kHz high resolution music, mu-so means music lovers no longer have to compromise sound quality for convenience. From AirPlay to high quality Bluetooth aptX to UPnP™ Wi-Fi streaming, mu-so is compatible with most portable smart devices and compatible NAS drives. UPnP™ streaming and AirPlay offer constant, hassle-free sound over your home Wi-Fi network. Simply connect your device to mu-so once and it remembers it forever. Bluetooth aptX allows any smartphone or tablet to connect with mu-so almost instantly – ideal for entertaining guests and sharing new music. Mu-so will connect to your home network wirelessly or via a wired connection on an Ethernet port. Either way you will be online and playing music in minutes. Mu-so uses premium materials and shares a design DNA with our flagship amplification system, Statement. A striking solid extruded aluminium heat sink runs across the length of mu-so, designed to maximise thermal performance, longevity and, above all, sound quality. It is bead-blasted and anodised for a premium finish. The internal speaker cabinet is wooden for acoustic performance while the aluminium skin offers extra dampening for a distortion free sound. The silk dome tweeters in mu-so replace traditional metal cones found in many wireless speakers and share the same materials as high-end hi-fi speakers. The standard speaker grille can be detached and replaced with three optional colour variations which will be unveiled before launch in September.